Under the cover of an otherwise legitimate life-extension of the W76 warhead, the Navy has quietly added a new super-fuze to the warhead that dramatically increases the ability of the Navy to destroy hard targets in Russia and other adversaries. In a new article in the Bulletin of the Atomic Scientists Matthew McKinzie from NRDC, Theodore A. Postol from MIT, and I describe the impact of the super-fuze on the targeting capability of the US SSBN force and how it might effect strategic stability. 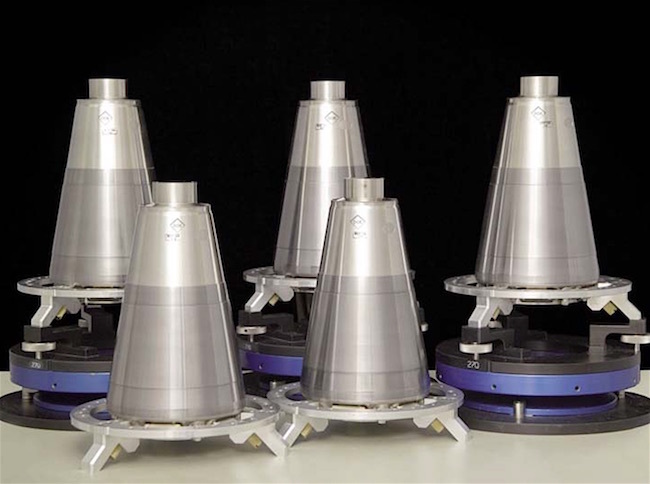 The new super-fuze dramatically increases the capability of the W76 warhead to destroy hard targets, such as Russian ICBM silos. We estimate that the super-fuze capability is now operational on all nuclear warheads deployed on the Navy’s Ohio-class ballistic missile submarines. The new fuze has also been installed on warheads on British SSBN. The new article builds on previous work by Ted Postol and myself but with new analysis explaining how the super-fuze works. In the article we conclude that the SSBN force, rather than simply being a stable retaliatory capability, with the new super-fuze increasingly will be seen as a front-line, first-strike weapon that is likely to further fuel trigger-happy, worst-case planning in other nuclear-armed states. Read full article here: Hans M. Kristensen, Matthew McKinzie, Theodore A. Postol, “How US nuclear force modernization is undermining strategic stability: The burst-height compensating super-fuze,” Bulletin of the Atomic Scientists, March 1, 2017. Theodore A. Postol, “How the Obama Administration Learned to Stop Worrying and Love the Bomb,” The Nation, December 10, 2014. Hans M. Kristensen, “British Submarines to Receive Upgraded US Nuclear Warhead,” FAS Strategic Security Blog, April 1, 2011. Hans M. Kristensen, “Administration Increases Submarine Nuclear Warhead Production Plan,” FAS Strategic Security Blog, August 30, 2007. Hans M. Kristensen, “Small Fuze – Big Effect,” FAS Strategic Security Blog, March 14, 2017. Excellent work. Good review of the enhanced nuclear capabilities of the W76-1 warhead. Many questions. Does this mean the US Navy will be less “dependent” on the W88 warhead in the future to hold hard targets at risk? Could we see an increased number of W76-1 warheads being remanufactured from the base W76-0 as a result of the enhanced capabilities of the MC7400 super-fuze? Are you suggesting a single W76-1 warhead could target a Russian missile silo or would it take a multi-warhead strike to eliminate a single ICBM in its silo? The W76-0 warhead was basically an airburst weapon but the “enhanced capabilities” of the W76-1 with its “super-fuze” would allow for the precision strike of ground targets such as silos and command-and-control facilities. However; how accurate is such a weapon? Do you believe this increased targeting capacity comes as the Minuteman III abilities to hold such targets at risk has declined? Does anyone at Minot really think a single warhead MMIII could hit a silo in Russia? Again, great review. Curious to your thoughts. Less dependent on W88 for targets that can now be done with W76, so W88 can be freed up for other more demanding targets. No increase in W76-1/Mk4A because target base has also shrunk. If 2,000 PSI hardness, a single warhead could dig up a silos, but if 10,000 PSI it would require at least two. Yet due to delivery reliability considerations, I’d expect them to prefer to use two per silo. This capability is part of an overall attempt to make each weapon more flexible and useable across a wider range of targeting characteristics. Minuteman ICBM is less capable than MX Peacekeeper ICBM (which was phased out in 2005) and Trident II D5 SLBM. So they wanted more Trident II capacity to cover the hard-target base, which has grown over the past decade. But Minuteman fuzing upgrades are also underway that will add path-length compensation fuze capability to the W87/Mk21 warheads in the future. As for russian underwater device i’m dont think it is true.To make realy large damage by underwater explosion yield must be at least a 1000 times larger.100-gigaton bomb is impossible ,since as its must be tested. This is kind of obscure. Underwater explosions are not useful for land-effects. No-one is planning giga-bombs. Yet land-attack weapons were developed that were in 100s and 10s of kilotons. Many have been phased out, although Russia allegedly is working on some kind of underwater drone with a large yield to destroy coastal cities; a crazy weapon, if true, that is in blatant violation of international law. In 1954-1955 LLNL studied the TSUNAMI problem for 10,000 megaton (10 gigaton) device called SUNDIAL.Plan was to develop it by testing it 1,000 megaton Gnomon primary in 1956.They are concluded that only fallout is matter ,not tidal waves.To generate tsunami point source is not enough.I’m estimate around 500 gigaton source for simple innudation. Popular description is a that 100-megaton bomb could generate tsunami,which is false. 100-megaton device could weigh 18,000 pounds. In 1962 LLNL proposed six version of the RIPPLE device in 9-100 megaton for various missile/bomber/orbital systems.Plan was for TITAN III with 100-megaton warhead.2 tests were required to weaponize each variant. There in 2014 SSMP point in 2030 -predective capability for full system nuclear performance in 3D-what is means ? I’m know that final NNSA target was 100 exaflop computer in ca.2010.What it means-ability to solve Navier-Stokes PDE coupled with Rad transport for this regime ? This article demonstrates strong intention of the current administration to make the USA number one in the world nuclear community. As a data scientist I have read this paper thinking about RELIABILITY aspect both in SLBM and MIRV. Here are some results that make more questions (see URL). A couple of things: First, the W76 life-extension program started back in the late-1990s during the Clinton administration, was put in full motion during the W Bush administration, reached operational deployment during the Obama administration, and will be finished during the Trump administration. So it does not express the intension of the current administration, which simply inherited the program.